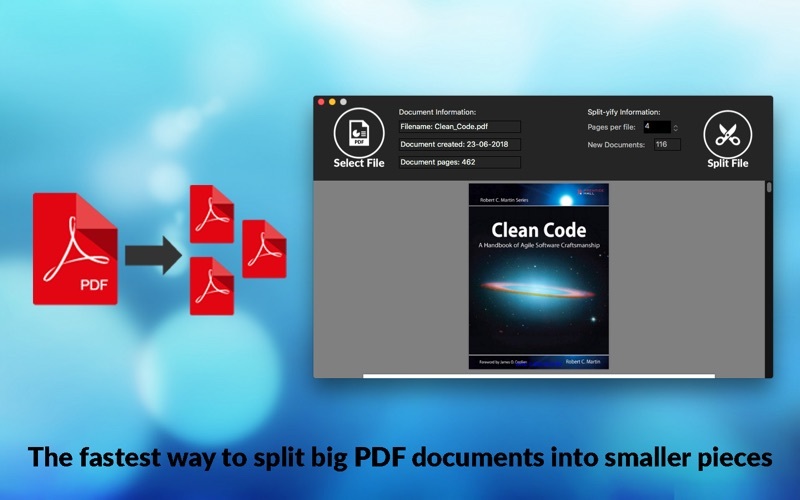 The fastest way to split big PDF documents into smaller pieces. 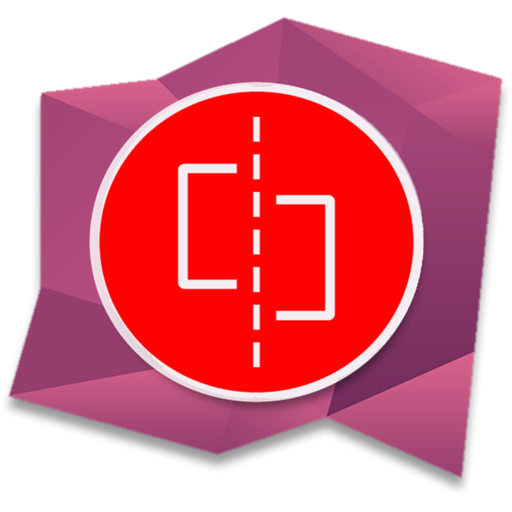 Using an improved file split algorithm, the application will achieve something that no application from AppStore will do: "A fast split of a big PDF document in smaller pieces". It is using a custom build architecture to be able to provide a great touch and best user experience. The interface is clean and smoothly built with simplicity so even a not-experienced Mac user will be able to use it without any problems.